Jack McKenna was a broadcast legend in northern Minnesota. He is best remembered as the weatherman at WDIO and KBJR in Duluth. McKenna is remembered by young children as Captain Q in Duluth and Sgt. 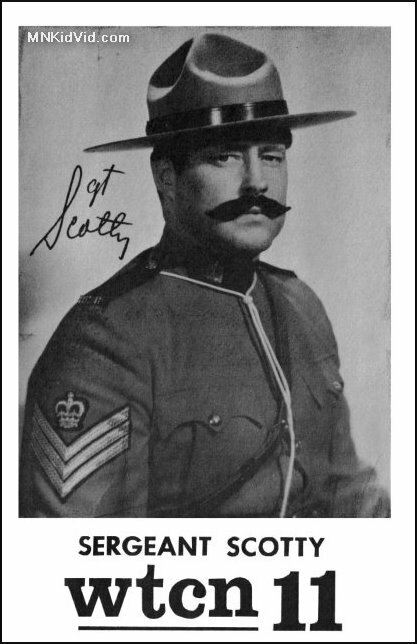 Scotty in Minneapolis. He also hosted horror movies as Professor Fantastic on WDIO. McKenna was born August 13, 1923 and grew up in Duluth. He served in the US Air Force during World War II, working as a meteorologist. When he returned to Duluth in 1946, he began his broadcast career at WDSM radio in Superior, Wisconsin. When WDSM-TV launched in 1954, McKenna was the lead weatherman. 1962 found him in the Twin Cities, as Sgt. Scotty, on WTCN-TV. In the mid-sixties, he returned to Duluth on WDIO-TV. In the seventies, he broadcast weather in San Francisco, Denver, Tucson, and Houston. He returned to KBJR in Duluth in the eighties. Following his retirement, McKenna continued to work in radio, hosting “Radio Superior” on KUWS-FM. Jack McKenna passed away on December 8, 2013 at the age of 91. Jack McKenna was fondly remembered as Captain Q on WDSM in the sixties. 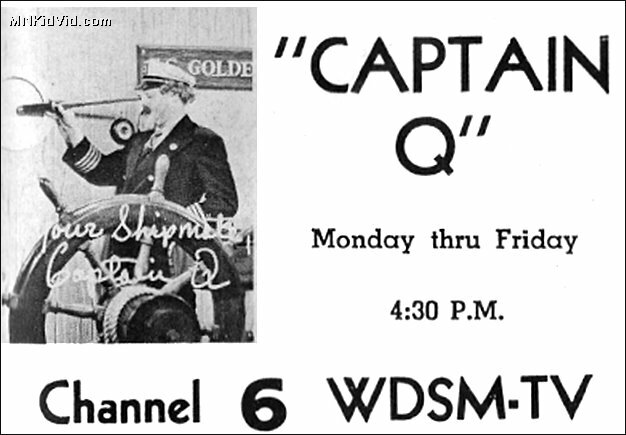 Captain Q commanded a pirate ship and featured Laurel and Hardy shorts and cartoons like Casper, Popeye, and Little Lulu. He had a rubber parrot named Angus, as well as a chimp named Shortcake. Captain Q’s assistant was Sparks, played by Ray Paulsen. As Professsor Fantastic, McKenna hosted Fantastic Theater was a program featuring classic horror movies. It ran in the early sixties on WDIO-TV. He was described as talking like Boris Karloff, with a white lab coat, glasses and mustache. He had an unseen assistant named Igor and would perform strange experiments each week. In 1962, McKenna was working in Minneapolis at WTCN-TV. He hosted a kids program as Sgt. Scotty, part of the Kidsville programming block which included Casey and Roundhouse and Dave Lee.